The TOA B-01ST module is designed for balanced or unbalanced, line level equipment such as AM/FM tuners, tape decks and DC players. Transformer isolation minimizes ground loop problems when connecting remote equipment. Choose from two connector types: female XLR. 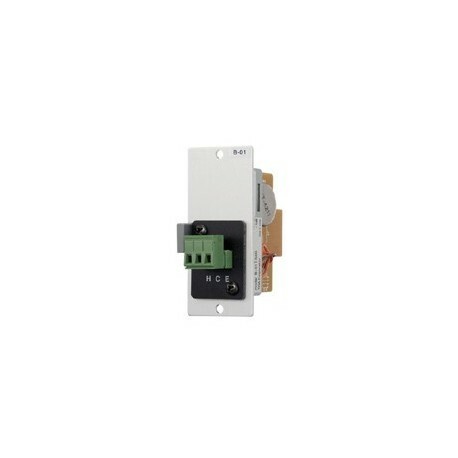 Performance Input: 10 k tb; Input Sensitivity: -16 dBu; Gain (adjustable): -1 dB (fixed); Maximum Input: +20 dB; Physical Connector: B-01F, B-01P, B-01S; Screw Terminals.